Now that you’ve recharged your batteries let’s proceed and connect our display. Let’s start by wiring the ST7735. You can read more information about the ST7735 in the datasheet controller/driver chip. As you can see in the picture this LCD uses Serial Peripheral Interface bus (SPI): MISO, SCLK, MOSI and CS pins are used for SD card communication; SCL, SDA, RS/DC, and CS pins – 4-lines/8-bts bi-directional interface – for communication between the micro controller and the LCD driver. 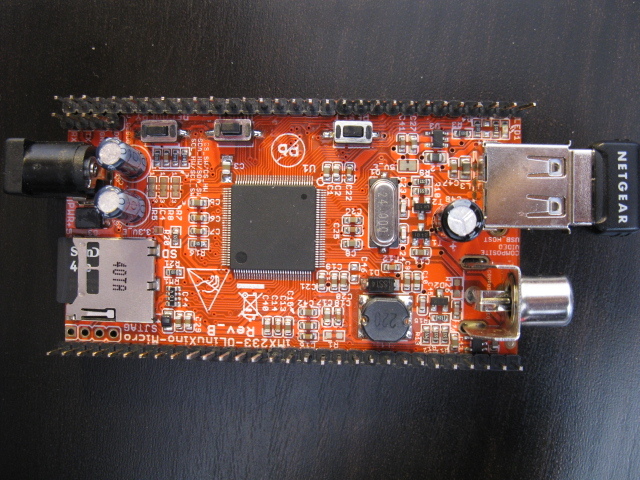 The imx233-Olinuxino-Micro pinout can be found in the user’s manual, chapter 6. Page 32 also provides a reference to a pinout summary made by David Whittaker, which is quite useful. 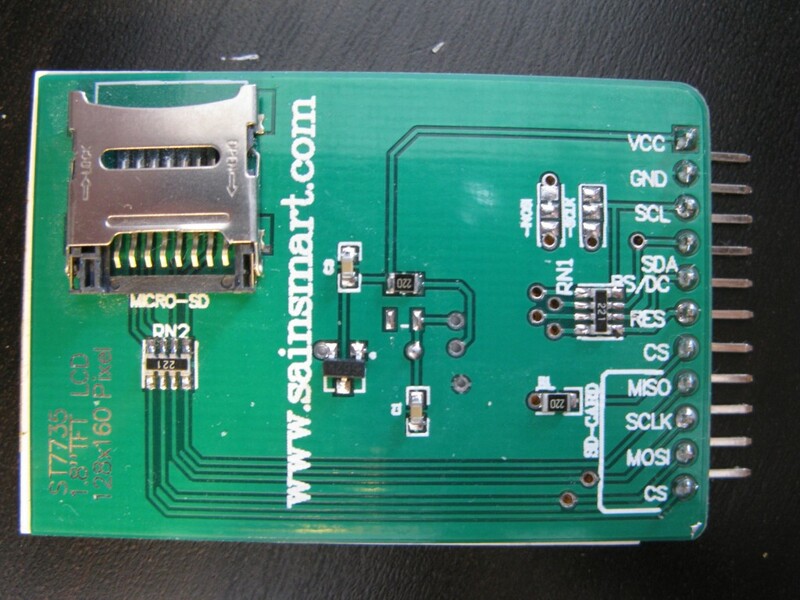 CS CON1#13 GPIO#2 Chip Select (SS – Slave Select) – enables (like a switch) communication access to device. Then connect VCC to +3.3V and GND to ground. Now, recheck your wires and then feed your imx233. Login by entering username and password [defaulf should be usr: root, pass: root]. Show list of all current loaded modules. 1. Start with a working SD card image. We got imx233 Debian 2GB SD-card image based on Kernel 3.11 following the olimex.com link. 2. Get the package provided by g-lab link, which contains Freescale imx-bootlets, utility elftosb2 and patches for the imx23-board. You will need to know how to build your own kernel and create a bootable image. We used the 3.18.3 kernel. You can try another one. It is likely that any 3.x.x will work too. 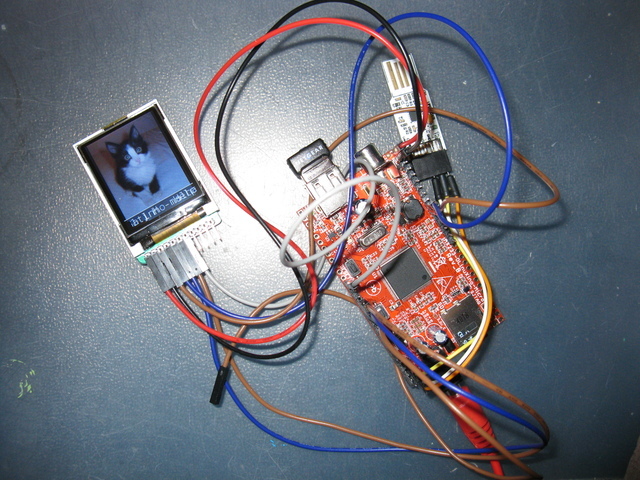 cd into directory linux-mainline to apply i2c patches for imx23-olinuxino board. These are required for your i2c communication devices. Also, apply our SPI patch. Either the wireless or the lcd were not working among all our kernel compilations. Since we were banging our head on the screen for a couple of days we decided to post our way around the thing. Boot your olimex with the abovementioned image [imx233 Debian 2GB SD-card image based on Kernel 3.11], then go to /proc and save the config.gz to your computer. You can use gunzip and save the file. This file contains already what is needed to get the wifi USB module – Realtek RTl8192cu Chipset working. If you do not use the .config we provide here, you will have to add a few things with the menuconfig. Read more. This patched package require zImage in this directory. We have created zImage_dtb instead. 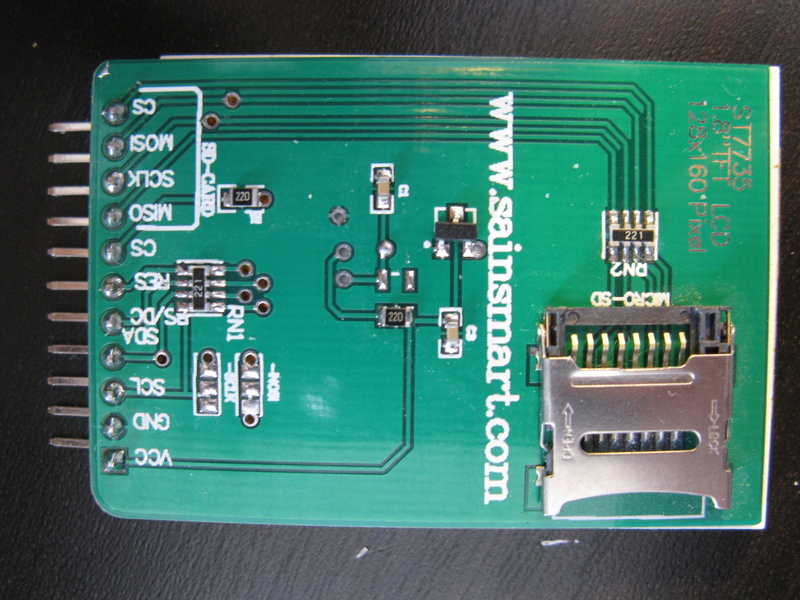 The card is ready, insert on your board and boot….IT WORKS! 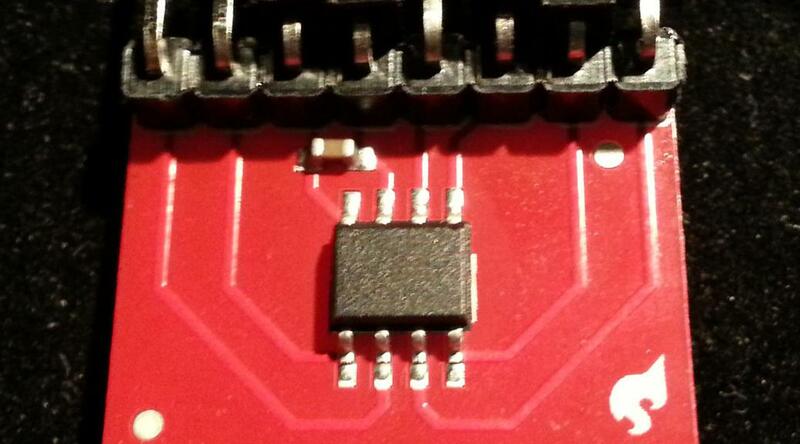 This IC comes in a SOIC package, therefore Sparkfun did a nice breakout board for it. In this project we used the breakout board, but if we were using the bare chip everything should work the same way as described here. This module can oscillate at 8200 different frequencies from 16kHz up to 133Mhz and can be reprogrammed at runtime using a I2C serial interface. For a test setup a PIC16F628A was connected to the DS1077, by using the pins RA0 for data transmission (SDA), RA1 for synchronous clock (SCL). Some LEDs were also connected to the PIC, they are not required but it is always good to have some flashing leds around so we know that something is wrong when they stop flashing. The output of the DS1077 (OUT0) is labeled by Sparkfun as OUT1, this is the main output of the oscillator. In this case the control lines (CTRL0 and CTRL1) were not used and connected to GND. According to the datasheet SCL and SCA should have 4k7 pull-up resistors, without them the communication between the microcontroller and the PIC does not work, it is required to connect SDA and SCL to the PIC and to VCC with 4700 Ohm resistors, we soldered them directly in the breakout board. It is always a good approach to start by trying to find out if somebody did already before what we need. Unfortunately in this time only some code for the Arduino was available, as this project was assigned to a PIC controller we had to build a small library for the DS1077 ourselves. We released the DS1077 library under the GPL license, it works with the CCS compiler, and should be used as in the supplied example. This library was initially developed for the PIC16F628A/PIC16F876A but should work with most of the members of the PIC family (PIC18 included), remember to modify the test program to suite your microcontroller. The only relevant function is: int32 ds1077_frq(int32 frq); where frq is requested frequency in kHz and it returns processed frequency in kHz. We recorded the output of DS1077 when controlled with the test program. The test program changes the frequency every second, and we found that the response of the oscillator is quite good, also the frequency resolution looks quite nice on a “log” plot. Note that on the figure the missing points are due to a gap in the frequency acquisition, not in the waveform generation.